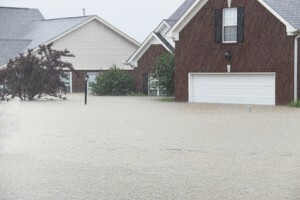 Wild weather and a few unnatural disasters in recent years have brought the genuine need for flood insurance in most areas of the country to light. From devastating storms, such as hurricanes Katrina and Sandy, to record snow melts and storms that seem to crop up out of nowhere leaving disasters in their wakes, people are beginning to ask necessary questions regarding flood insurance. Does Your Home Insurance Policy Cover Flood Damage to Your Home? Unless you purchase a specific rider policy for floods, the answer is most likely, “No.” What this means is that you need to add flood insurance if you’re at all concerned about the possibility of a flood where you live. Chances are, if you own a home, you need flood insurance. Floods aren’t all forces of nature. It only takes half an inch of water to do serious damage to your flooring, walls, carpeting, furniture, and other things that are exposed to the water. Whether it’s Mother Nature bringing the water in, or something a little more mechanical in nature such as a leaking water heater, washing machine, or dishwasher, the damage is done and cannot be easily undone. Flood insurance was once a high-ticket item reserved only for the super wealthy. According to the National Oceanic and Atmospheric Administration, 39 percent of the U.S. population lives directly on the shoreline. Estimates indicated that at least 80 percent of the world’s population also lives within 62 miles of the shore. That’s a lot of people living on and around water. Don’t forget all the rivers, creeks and lakes that feed into the oceans surrounding the U.S. When the first snows melt in the spring, flooding often occurs downstream as these rivers and creeks overflow their banks. People in the path of Katrina had always trusted that no storm would surpass the storm surge of Hurricane Camille back in 1969. They didn’t have flood insurance because they believed it was unnecessary. Many of them lost everything when Katrina’s angry waters came in like a lion leaving only foundations and plumbing work where homes had once stood. How do You Get Flood Insurance? FEMA underwrites all flood insurance in the U.S. This serves to keep premiums for flood insurance as low as possible while guaranteeing that certain needs are met in the aftermath of floods. Flood insurance is available through all major insurance carriers. All you need to do is talk to your insurance agent to add it to your policy. The process may seem a bit confusing to some, so please direct any questions you may have to Joe DiCesare, an agent since 1987 who is ready to help you get the coverage you need.